Nairn is a popular choice of wedding location for couples in the Highlands, with its proximity to excellent Inverness transport links. Not only does it host a range of great hotels, its surrounding landscape is perfect as a backdrop for your wedding day. 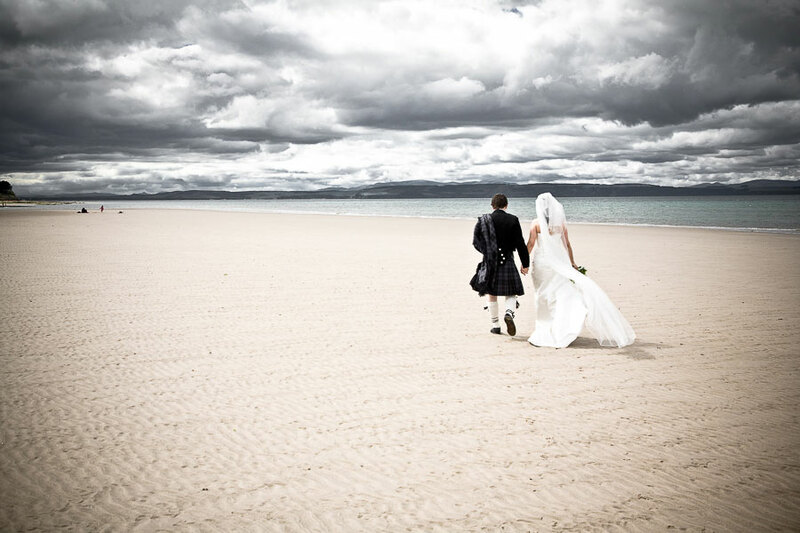 Whatever size your wedding party may be, Nairn has a range of venues to accommodate you. For larger parties, The Golf View Hotel and Newton Hotel are a fantastic size. The Clubhouse Hotel, Brodie Castle and Boath House are ideal for more intimate weddings. Some of the most relaxed and candid wedding photograph opportunities have been when the bride and groom are prepared to brave the elements for some beautiful shots outdoors. It’s also a great chance to have some time to yourselves on such a busy day, and enjoy a moment together while I capture it on camera. 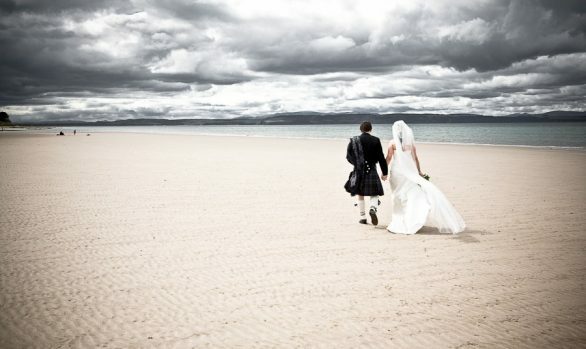 If you’re prepared to make the most of having Nairn’s golden sands on the doorstep of your wedding venue, I’d be delighted to seize the opportunity and capture some special photographs. Below you’ll see some examples of my Nairn wedding photography; get in touch to find out more and I’d be happy to discuss your wedding photography requirements with you.